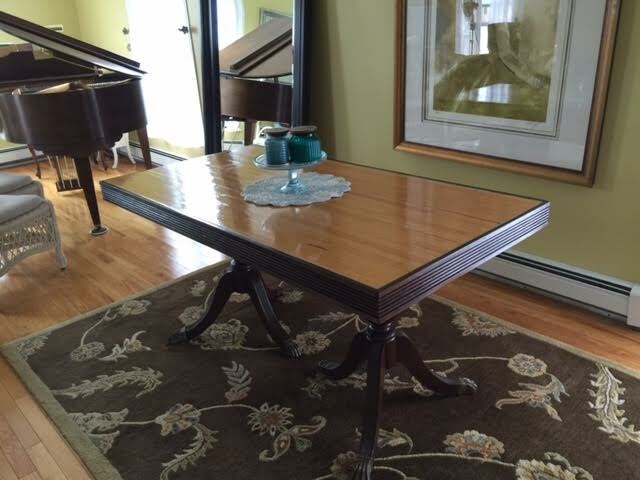 Here is a dining room table that was refinished by Amy Deel. 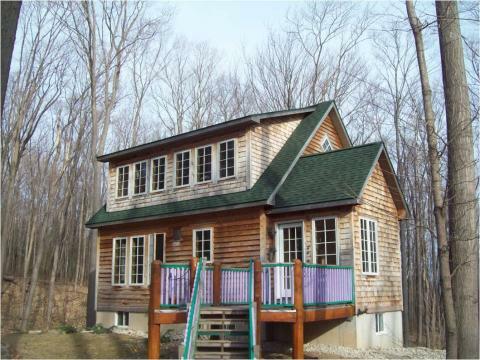 Looks great Amy! 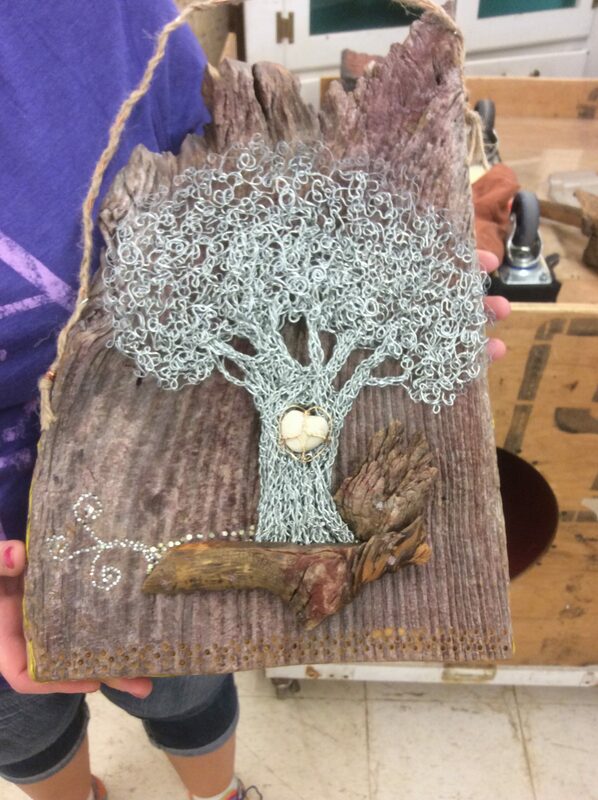 A beautifully decorated piece of barn wood made by Jillian Foxworthy. 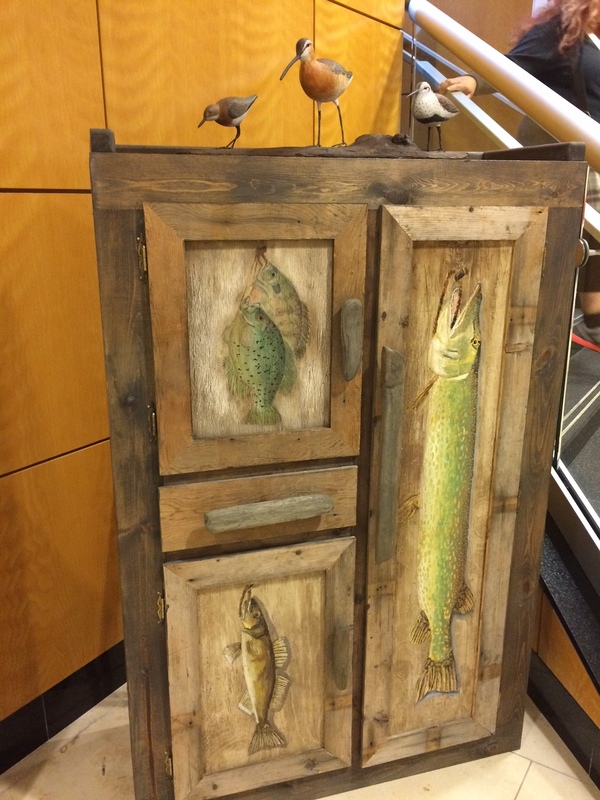 Check out this fish cabinet made from our reclaimed wood by David Pieters featured in Art Prize. Nice work! 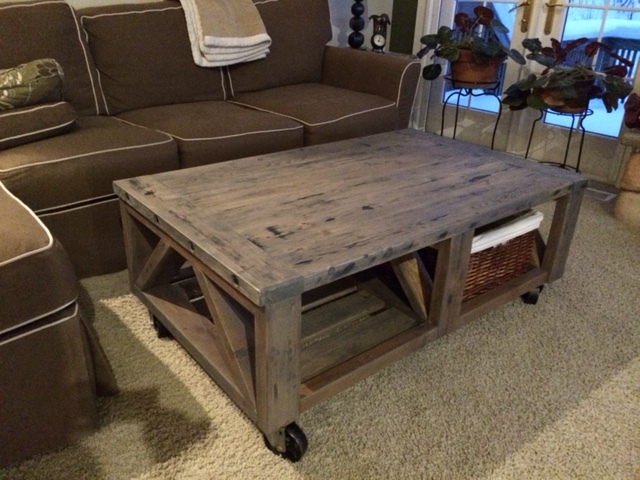 Well-made coffee table on casters from reclaimed lumber by Andrea Aode. Jan Nauta got this bowling lane from our shop. 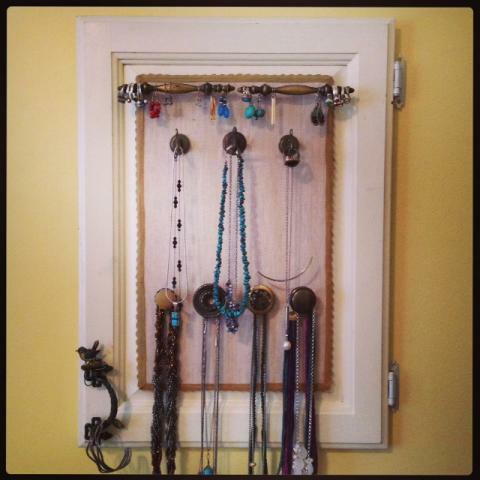 After she put some moulding and legs on it, this is how it turned out! 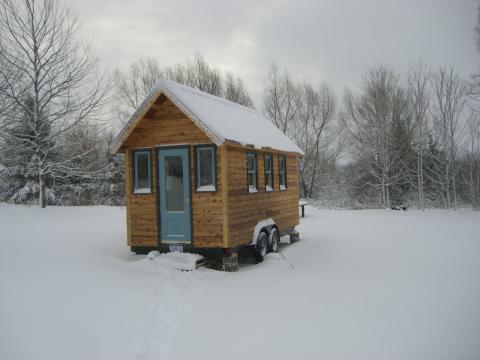 Looks great Jan! 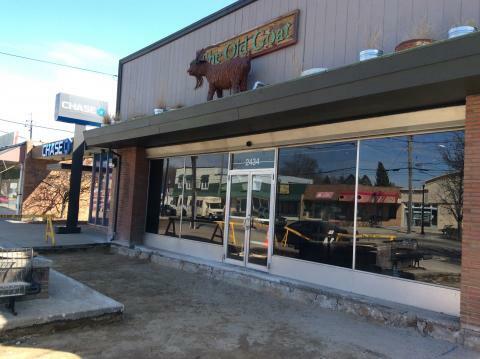 A new Grand Rapids restaurant under renovations in S.E. 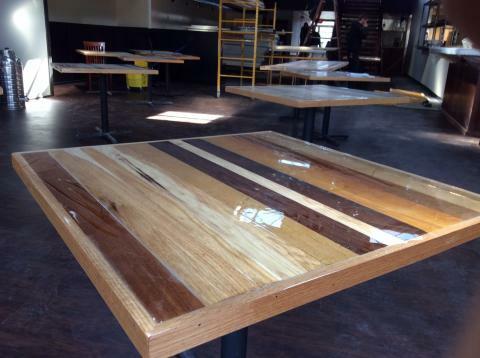 Grand Rapids, has hired Odom to build 17 table tops. 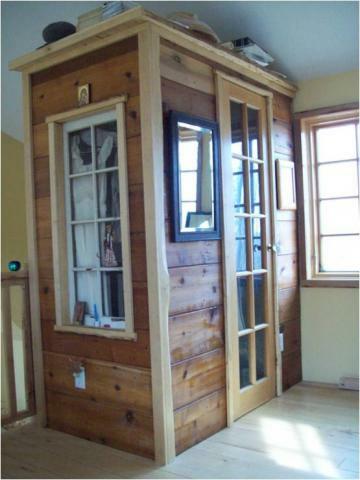 We used exotic hardwood surplu as well as used American hardwoods. 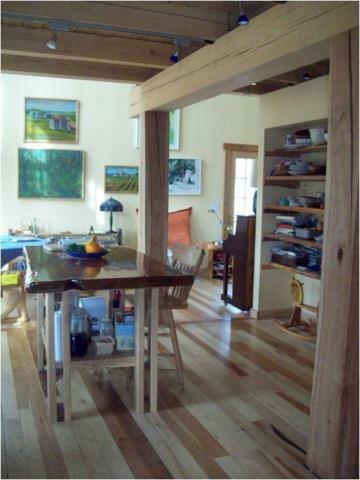 Everything from Ipe to oak, Mahogany and Cherry. The Old Goat is owned by the same creative energy source responsible for Electric Cheetah, a very popular spot in Eastown – Mr. Corey DeMint. 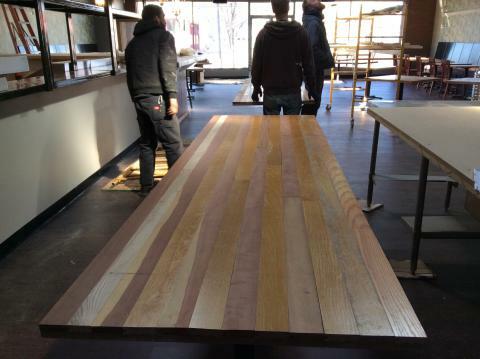 This 10′ table, made from both exotics and American oak, is yet unfinished. 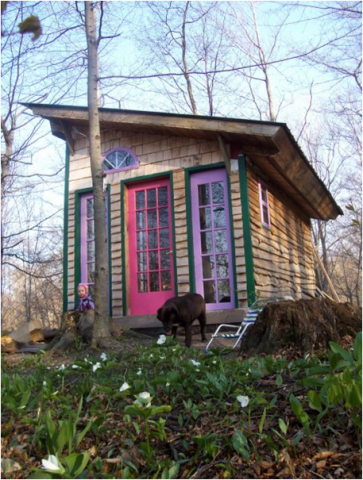 Jon and Lisa Manrow used materials from Odom RE-USE to build a moveable home. 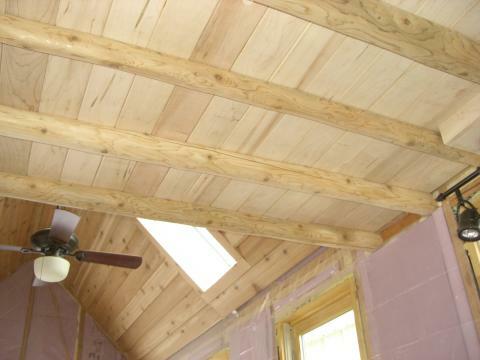 Most of the lumber is either from Odom RE-USE or salvaged from a different source. It looks great! 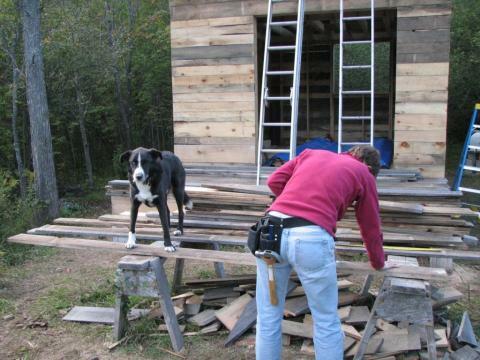 Lisa working hard on the framing. 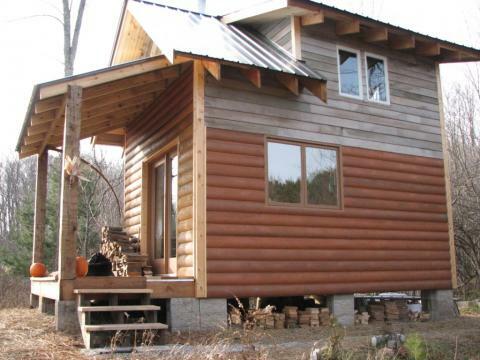 Maple paneling and cedar posts used to support the sleeping loft are from Odom RE-USE. 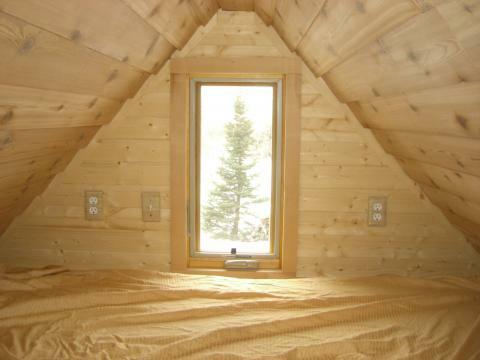 The trim around this window, which is planed-down cedar, and the outlet covers are from Odom RE-USE. 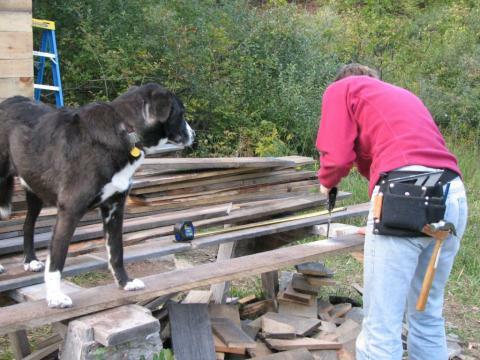 Mari, with the help of her dog, Hasek, is cutting reclaimed lumber to build a cabin. 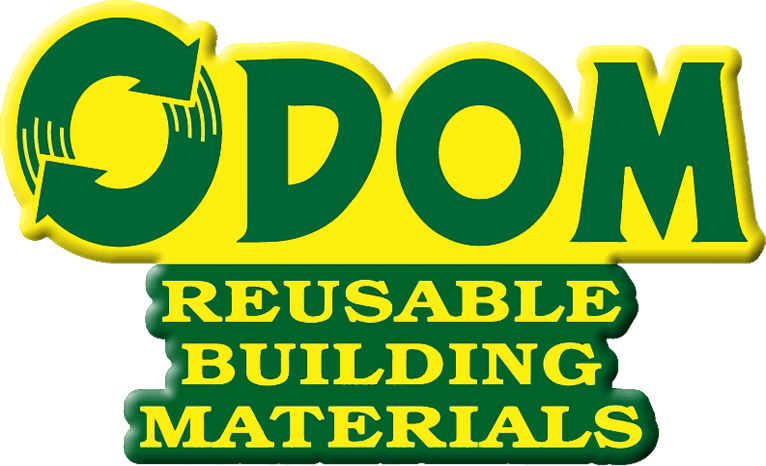 Much of the lumber used in the project came from Odom RE-USE. What a team they make! 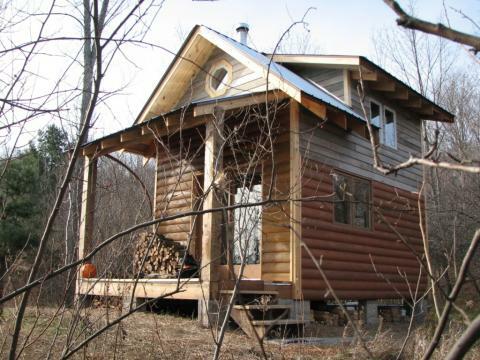 James Kudlack combines salvaged building materials and vernacular architecture to create a beautiful and unique home, office and sauna. 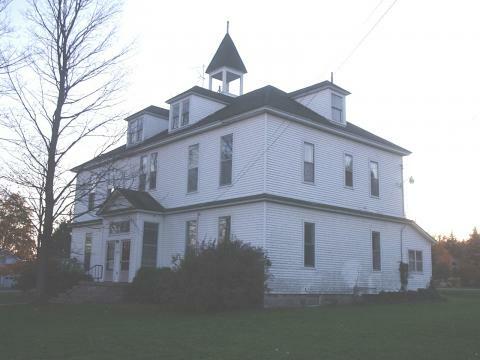 We no longer do full demolitions, but In 2008, Odom RE-USE deconstructed and salvaged the St. Michael’s Schoolhouse in Suttons Bay, MI. It is the tallest building that our crew has ever deconstructed. 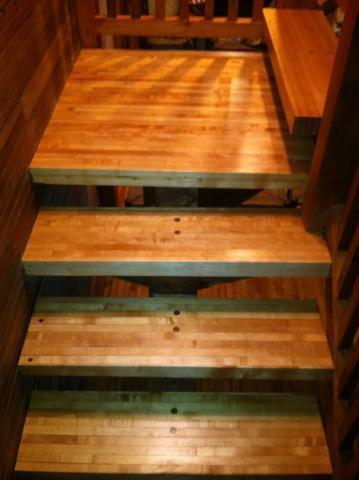 Paul Hanus created this beautiful stairway using reclaimed bowling lanes from Odom RE-USE.